Astronomie - Das Netzwerk von Kreuz- und Quer-Rissen von Jupiter-Mond Europa wird als Nachweis der Belastungen durch massive Gezeiten des globalen Ozean angesehen. The Defense Advanced Research Projects Agency (DARPA) is looking for a vertical takeoff and landing (VTOL) aircraft that can fly fast, hover efficiently and carry a lot of cargo. Thanks to rapid prototyping, a team of Boeing Phantom Works engineers in Philadelphia designed and built a flying subscale model of the innovative Phantom Swift in time to be part of Boeing's proposal for DARPA's vertical takeoff and landing X-Plane competition. The scaled model of the Phantom Swift went from being an idea to a flying prototype in less than a month. It will serve the team as a flying laboratory. “A picture is worth a thousand words, a flying model is worth a million words. No matter what words you put in a proposal, having hardware that you can demonstrate that they can tangibly see what’s being proposed goes a long way toward winning that proposal,” said Perry Ziegenbein, Phantom Swift’s chief engineer. 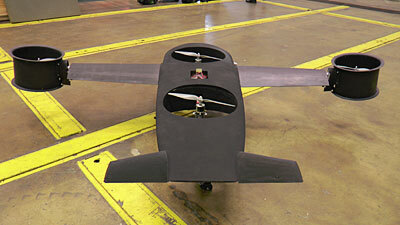 Phantom Swift is a rapid prototyping flying demonstrator that was designed and built in less than 30 days. Michael Mikuszewski is a composites expert for Boeing Research and Technology. He helped design and build some of Phantom Swift’s parts and says seeing it come together so quickly was very exciting. The DARPA vertical takeoff and landing aircraft X-Plane program will have three phases. Phase I will last 22 months, with several competitor designs partially funded by DARPA. Only one consolidated Phase II/Phase III contract for fabrication and flight demonstration contract will be awarded, with a goal for a first vertical takeoff and landing X-Plane flight within 47 months. The first phase of DARPA’s X-Plane program is expected to begin in the next few months.